Avendus Capital advises Magicrete on its fund raising from Motilal Oswal Private Equity. Magicrete, a leading manufacturer of Autoclave Aerated Concrete Blocks (“AAC Blocks”) in India, has concluded a fund raise from Motilal Oswal Private Equity. Magicrete, started in 2008 by young first generation entrepreneur Sourabh Bansal after completing his B.Tech. from IIT Khargpur with a vision to set-up new age building material company. He was joined by Puneet Mittal, a charteed accountant and later joined by Sidharth Bansal, an IIT-IIM alumnus. 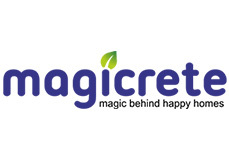 Magicrete is primarily in the business of manufacturing AAC Blocks under the brand “Magicrete” and has recently forayed into offering gypsum plaster and dry mortar under the brand “Magicplast” and “Magicbond” respectively. In last five years, Magicrete has emerged as leading AAC Block manufacturer in India with total capacity of over 800,000 cubic meters in Surat (Gujarat) and Haryana. This fund raise will enable Magicrete in expanding its capacity and geographical reach. According to Sourabh Bansal, Managing Director. Magicrete "This investment will equip us to scale up our operations nationwide and help take Magicrete brand to other regions of the country. We are thankful to Girish and team at Avendus who have been instrumental in this deal and have diligently helped us in all aspects of this transaction." Avendus was the sole financial advisor to Magicrete Building Solutions on this transaction. technologies and is one of the largest manufacturers of Autoclave Aerated Concrete Blocks. It was started in 2008 by a young management team, who graduated from Indian Institute of Technology (“IITs”) and IIMs,. Over the last four years, the Company has positioned itself as India’s second largest AAC bricks company with a capacity of 800,000 cbm. The Company has shown strong fundamentals and growth over the last few years. For a multitude of reasons developers across the country are exploring alternative to red brick for wall construction and AAC Blocks has emerged as one such viable alternative both for residential and commercial building. AAC Blocks on one hand have price parity with red bricks and on the other hand allows for faster execution, involves less labor, reduces construction costs and is environment friendly. This industry is at a nascent stage in India and has significant growth potential. witnessed adoption of AAC blocks in last 10 years, having a cumulative capacity of 150 mn CBM. India today has total capacity of less than 5 mn CBM. Management caters to investment advisory and portfolio management needs of Family offices and Ultra High Networth Individuals / families, spanning all asset classes. Headquartered in Mumbai, the firm has offices in New Delhi and Bangalore. Avendus Capital, Inc (US) and Avendus Capital (UK) Pvt. Ltd. located in New York and London respectively are wholly owned subsidiaries offering M&A and Private Equity syndication services to clients in the respective regions.